This May, Chad Kwiatkowski will be graduating from ASU with a bachelor of science degree in Earth and Space Exploration – Geological Sciences. He is also the School of Earth and Space Exploration Dean’s Medalist for 2018, having earned this award through his stellar academic record, his skills as a leader, and his drive and energy in pursuing his academic passions. An avid hiker and explorer, geology was a natural fit for Kwiatkowski. And having grown up in the northern part of Phoenix, choosing geological sciences for his major gave him a chance to study the landforms that had surrounded him during his childhood, like the McDowell Mountains. 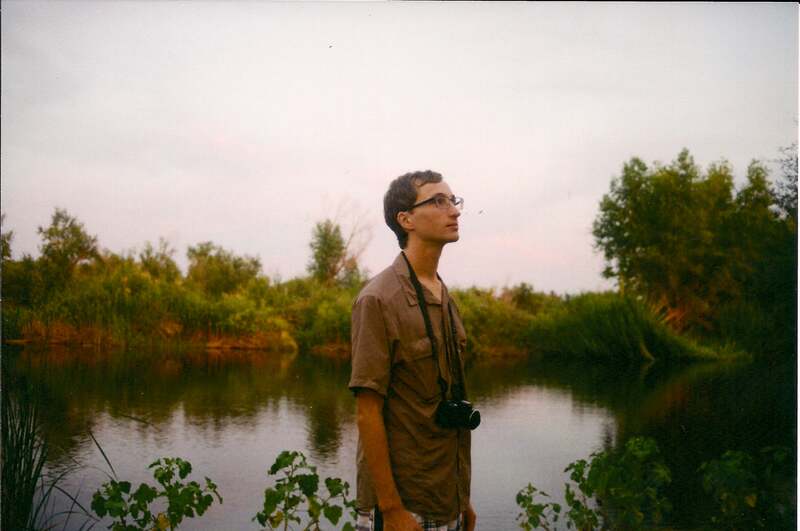 That love of being outdoors also led Kwiatkowski to the realization that learning could take place in the classroom and also on his own free time, during weekend hikes around Arizona, ultimately blending work and play and doing something that he loved. In the future, Kwiatkowski hopes to earn a master’s degree, teach at a community college and establish an animal/farm sanctuary. Question: What was your “aha” moment, when you realized you wanted to study the field you chose? Answer: I needed a science credit while pursuing my associate’s degree at community college, and my girlfriend recommended that I take geology. I already enjoyed hiking and exploring the wilderness near my hometown, so geology was a natural fit. It made the whole world seem to make sense, while also filling my mind with questions. A: While at ASU, I learned that learning takes place both in and out of the classroom. It is important to pick a major you are passionate about, so you have the drive to pursue it further in your free time. For me, this involved going on weekend hikes in the mountains surrounding Phoenix, armed with geologic maps and reports of the area. Doing this, I learned many things that there simply wasn’t time for in the curriculum. If you do what you love, work and play will blend into one and you will live a happier life. A: ASU is a leader in many branches of geoscience, and its location in the Southwestern U.S. makes it ideal for a range of geological studies. Additionally, I grew up on the northern fringe of metropolitan Phoenix, so studying at ASU gave me the opportunity to learn about the landforms I grew up around that held a special place in my heart, such as the McDowell Mountains and the Tonto foothills. A: When you begin college, take a diverse assortment of classes. This will help you find out what interests you the most. If I hadn’t branched out and done this, I may never have discovered my passion for geology. Many adults come back to college after working for decades in a field they didn’t enjoy. If you happen to be near the beginning of your college career, that is an especially perfect time to branch out and find a field that suites you. A: My special spot on campus was under a big, beautiful tree outside of the PS-F (Physical Sciences Center F-Wing) building. In the shade of its leaves, I spent countless hours reading my textbooks, doing homework, and meditating, which kept me balanced during the inevitable collegiate chaos. A: Upon graduation, I will be pursuing a master’s degree at Northern Arizona University. After graduate school, I hope to attain a teaching position at a community college in the Western U.S. and establish a farm/animal sanctuary with my girlfriend. A: I would strive to solve the educational crisis by funding education research. If we can understand how our students learn most effectively, we can more efficiently allocate current resources, in addition to seeing specifically where more resources are needed. The students of today will solve the problems of tomorrow, and putting in the time, money and effort to understand what students need to thrive should be a major focus of our society.